Llanfechell on Anglesey in North Wales. The War Memorial is outside of the walls of the beautiful Church of Saint Mechell. 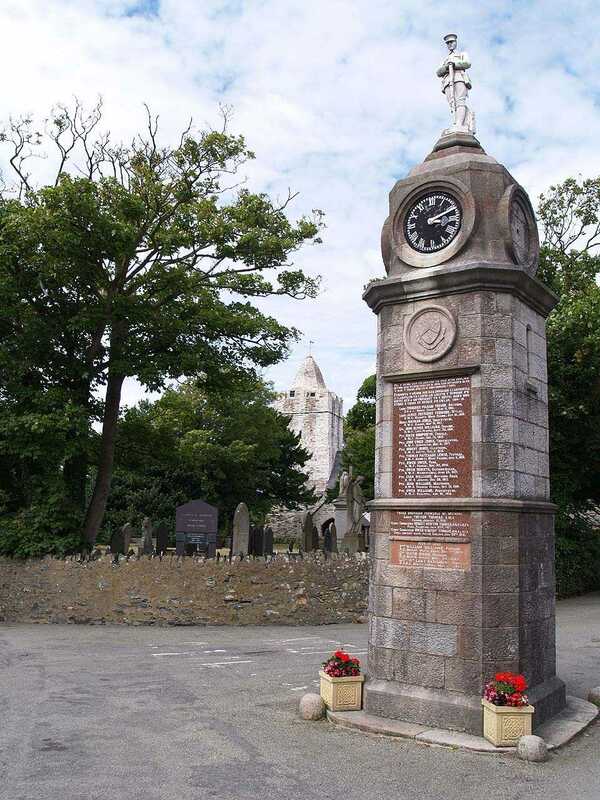 Anglesey, Llanfechell, War Memorial Names. 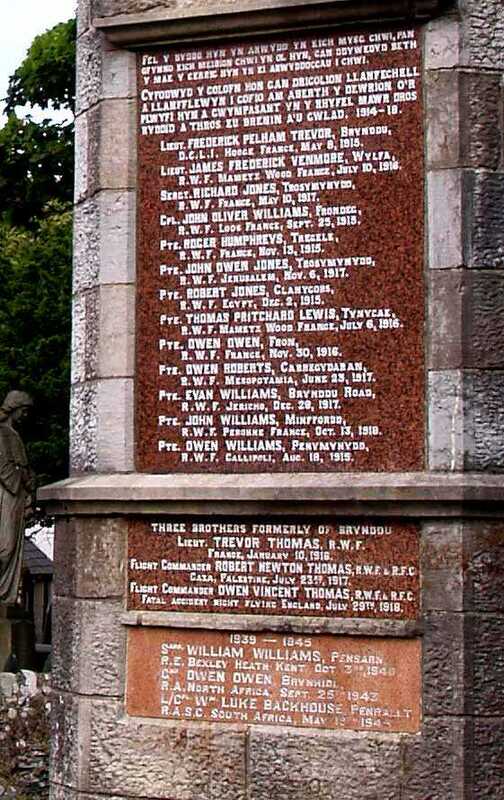 The names on the War Memorial include those of three Thomas brothers from Brynddu. To lose a child during a war must be devastating to parents, I really cannot imagine how it must have been for the parents that lost three of their children. CWGC Memorial to Flight Sergeant John Hughes died 1946 aged 26. 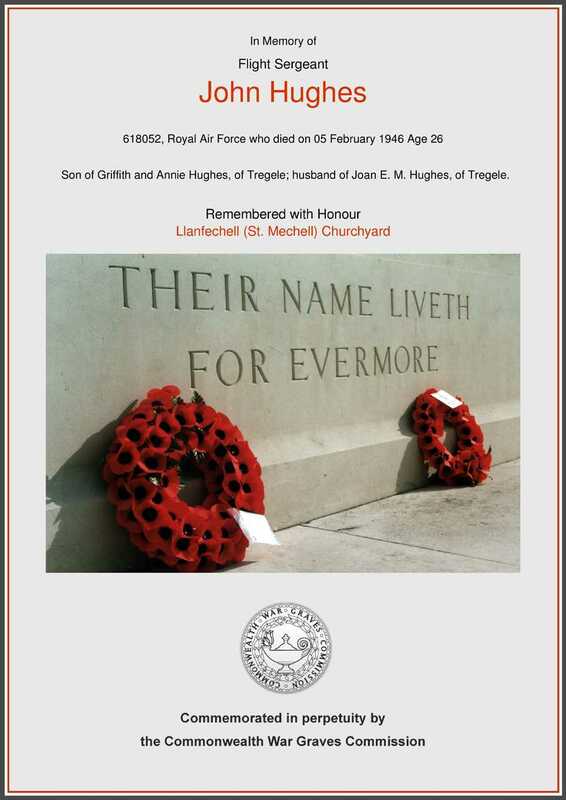 If you have any high resolution photos of anyone on this or any other war memorial, or simply a story to tell then please email me here I will then show the photos and tell the story, as with the one below for Owen Owen of Bryn Hidl, Mynydd Mechell. Sapper. Royal Engineers. 24 Bomb Disposal Section. Gunner. 257 Coast Regiment - Royal Artillery.